After the successful symposium on exhibition remuneration in Brussels end of last year, IAA Europe launches its campaign on exhibition remuneration in Europe on World Art Day 15 April 2019 to advocate fair exhibition remuneration for visual artists all throughout Europe! #paytheartistnow;#exhibitionremuneration. Join us and support the goal of a better and fair payment to visual artists all throughout Europe for the exhibition of their artworks! All initiatives are welcome! as well as the Handout of the Symposium. Read the 2018 WAD message from the President here. In 2015, the International Dance Council will celebrate the WAD with IAA, the International Dance Day taking place on April 29th. 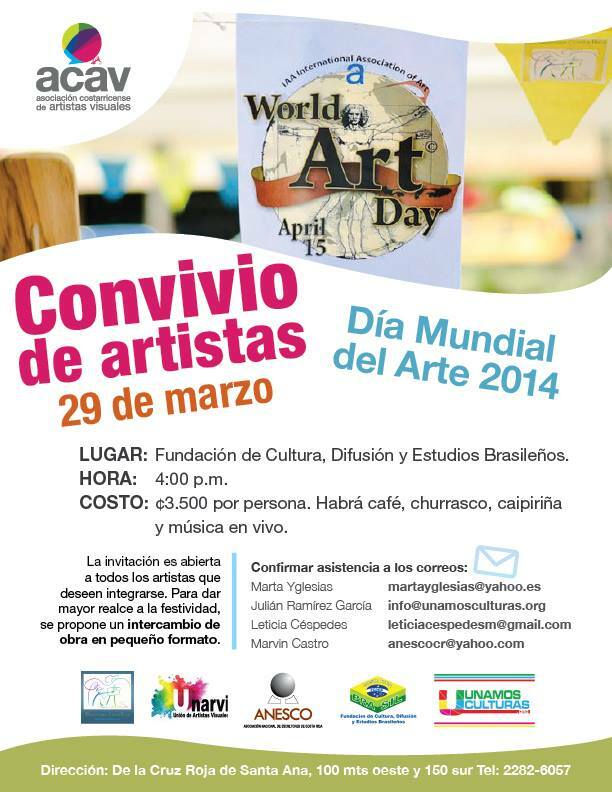 So, the visual artists and the dancers are invited to prepare common projects for April 2015.Please find more information on the World Art Day-website and Facebook. In 2014, 21 countries celebrated the WAD: Turkey, Mexico, Chile, Peru, Venezuela, Argentine, Costa Rica, Panama, Puerto Rico, Sweden, Norway, France, Slovakia, Austria, Italy, Cyprus, Japan, South Africa, Mauritius, USA (Chicago), India (Assam). 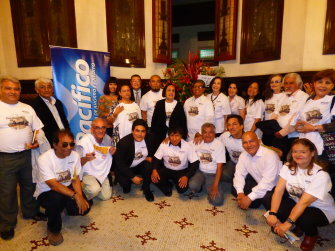 Mexico proposed 600 activities during the whole month of April and the WAD was supported by the Government. Download the invitation | press files [PDF]. Find more pictures through this link. 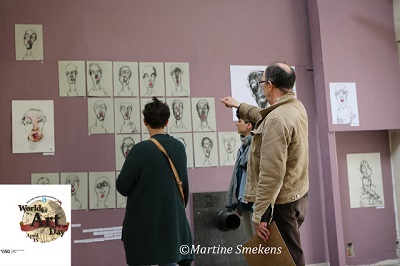 In the Framework of his exhibition 'De couleurs en partage' the artist (France-The Netherlands) Michel Smekens organized a public performance for the 2018 WAD: https://artmichelsmekens.blogspot.nl. This WAD was widely shared on the social networks. 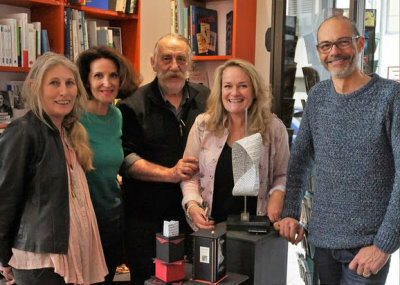 The visual artist Valmigot (CNFAP) organized at the Library 'Le Carré des Mots' an event whith the collaboration of the lyric singer Virginie Pape (Les musiques de la vie. 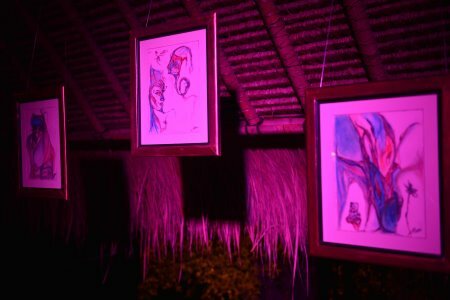 Ed Odile Jacob) an event which gave a tribute to several artistic expressions. 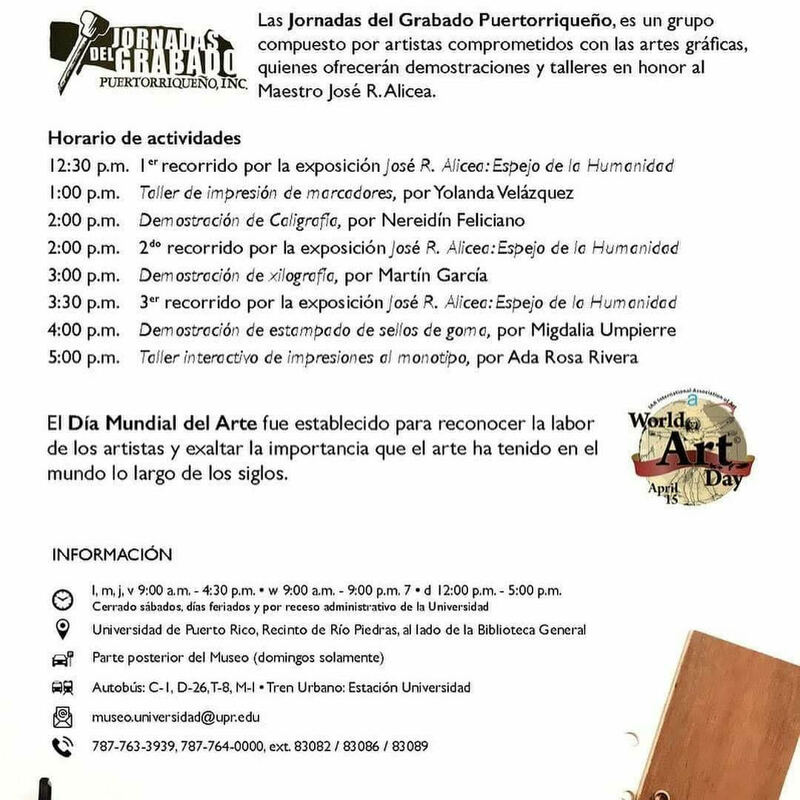 This initiative was an opportunity to gather artists coming from various specialities, artists who could exchange about various matters during this WAD celebration. Download flyer [PDF] | Press files [PDF] | Find more pictures on large format through this link. 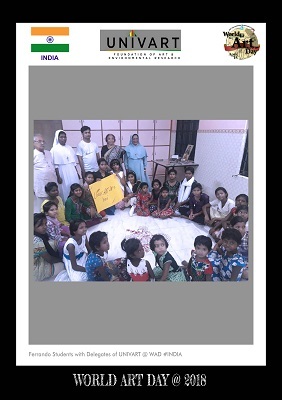 In India, the UNIVART FOUNDATION OF ART & ENVIRONMENTAL RESEARCH (http://univart.org) celebrated WAD in the Brandel Centre, with Mr. Manaj Saha, who explained the participants that Leonardo da Vinci is considered as a symbol of freedom of expression, multiculturalism, tolerance, world peace and, of course, a visionary in the world of arts and other fields. The Japan Artists Association (JAA, Japanese National Committee of the IAA) divides Japan into nine regions, and the person in charge of each region leads efforts to create and execute various programs for JAA members as well as for the general public. 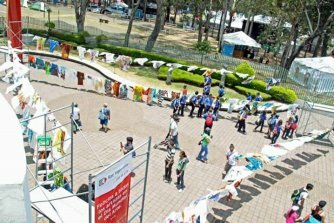 World Art Day (WAD) events were held in the Kinki region in April and the Hokkaido region in July. The following is a report of those events. On July 27, a lecture event titled 'Tadayoshi Nakabayashi on the World of Printmaking' was held in Sapporo. The central lecture of the event was given by printmaker and Executive Director of the JAA Tadayoshi Nakabayashi and titled 'The Prints of Dürer that Travelled to the East'. In it, Mr. Nakabayashi spoke about the roles that prints have played. He also talked about the background of the publishing last year of the Health and Safety for Artists Handbook, the editorial committee of which he chaired. (Around 70 people in attendance) Note: The Health and Safety for Artists Handbook is a practical collection of important points to help artists engage in creative activities in good environments for creating, and was put together by artists themselves. View catalogue | find more pictures on large format through this link. 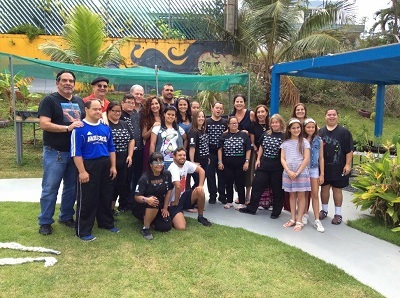 This year, the main activity of the NC of Puerto Rico was to work with the Downs Syndrom Foundation of Puerto Rico. flyer | find more pictures on large format through this link. This year, the Slovak NC particularly focused on two points: international cooperation and information/education for young students / young artists. 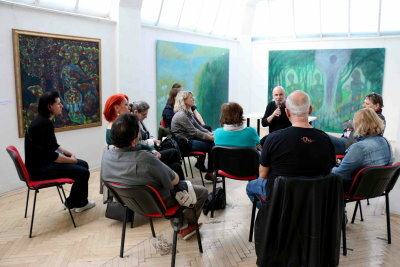 The NC organized a show (Dialogues) in collaboration with the French NC, CNFAP, by receiving 30 French artists and 10 Slovak artists. Thus, the 'Junior Design Fest competition and exhibition' gathered applied art studients, as well as design schools from Central European countries like Slovakia, Czech Republic, Poland, Hungary, Austria, and Slovenia. Awards given to the best artworks concluded the show. Another exhibition of Young graphist artists still studying their master degree was proposed, which attracted a great Young audience, studients, teachers, and people from academic circles. - about what could be and should be done for a better position of the artists in society. Dialógy 2018, exhibition of Slovenská výtvarná únia (SVU), Fakulta Architektúry STU of Bratislava and Conseil National Français des Arts Plastiques (CNFAP) in Galéria Umelka in Bratislava. Find pictures on the Facebookpage of the National Committee of Slovakia (SVU) through this link. - what did they made and what they didn't made? 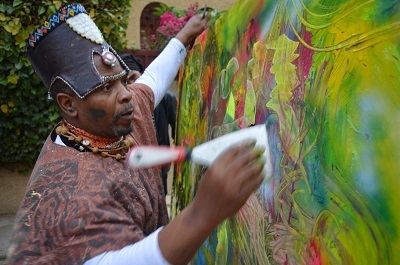 - how should art be made available throughout the country? - how to create good conditions for producing the artistic content? - how can art and culture could be given space in urban planning? Cast: Per Olson Fridh (MP), Secretary of State for Culture, Alice Ban Kuhnke, Olof Lavesson (M) Culture Policy spokesperson and chair in the Parliament Culture Committee, Vasikili Tsouplaki (V), cultural spokesman, Christer Nylander (L) Group Leaser Liberals in Parliament, Anna Soderback, Director of the authority Arts Grants. Moderators: Peter Johansonn, artist and Swedish IAA member; Katarina Jönsonn Norling, artist, Artists Organization; Sanna Svedenstedt Carboo, craftsmen, artist, Artists Organization. The talks concluded with art cake and a coffee. The artists Iryna Hauska and Ana Bondzic from the 'project art to participate' made sketches for this year's art cake baked by the Chocolate Factory. This year, the celebration of WAD in Morocco was particularly intense. The Association 'Articultures', committed to diabetic children, and spearheading the status of the Artists in Morocco, proposed several events which were reported by the National TV (Channel RTM and 2M), the national radio (Channel Inter, in live), as well as several daily newspapers and magazines of the written and web press like Aujourd’hui, Le Matin, et Hespress. Watch this overview of press publications [PDF]. The show which was organized by Mr Rachid Benabdellah, and which took place at the Auto Hall, in Rabat, with the collaboration of the Free Syndicate for Visual Artists in Morocco, as well as with the Association 'Articultures', the participation of 50 painters, groups of Musicians and singers like the very talented Nasr MEGRI and Cheb ABDEL, has been the subject of a catalogue which is available by clicking on the following link: catalogue WAD. 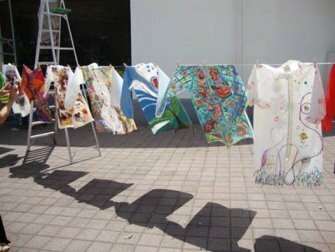 At the same time, an exhibition of Contemporary Art took place in 'La Ferme des Arts', near Rabat, which welcomed artists and art lovers. Prices and certificates were given under the Presidency and by Mrs Fatema Binet Ouakka, in the gardens of 'La Ferme des Arts', before the end of the show and in front of about 50 persons. The Association, working in very tight collaboration with the Association 'Al Badil', Rabat, allowed diabetic children to celebrate WAD too. 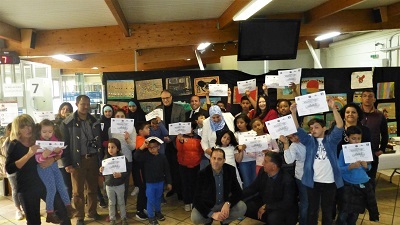 All the drawings made in Rabat were shown in the General Consulate of the Kingdom of Morocco, Pontoise, France, Mrs Binet Ouakka having organized a WAD celebration for the children of the employees of the Consulate. 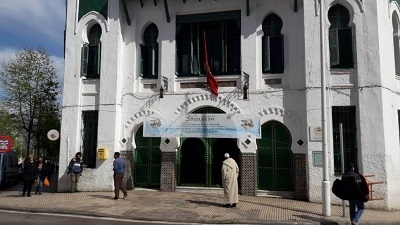 In the Middle Atlas, the 'Maison de la Fille Rurale' (House for the Country Girl), in Ras Taboula, Middle Atlas, also welcome the WAD celebration that Mrs Binet ouakka and Mr Benabdellah organized and animated in the presence of the local authorities. 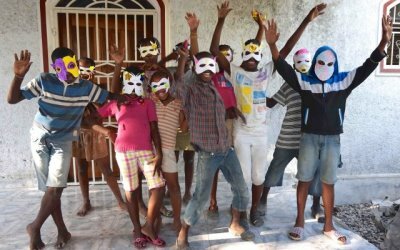 Finally, in June, Mrs Binet Ouakka organized and animated workshops at Her Highness Lalla Asmae’s Foundation for children and deaf children. Those children already expressed their whish to be associated to this thought about Peace already undertaken with other children in Morocco. This item, defended and implemented within UNESCO by the Official partners NGOs, AIAP included, helped these children to espress themselves in a high colored artistic language, to demonstrate solidarity, synergy and communion in the action quite beyond words and disability. The Association 'Les Chemins du Maroc' has organised an exhibition in Tangier, photos of this event are on the Facebook page of the IAA World. Click here for the programm. Find more pictures on large format through this link. 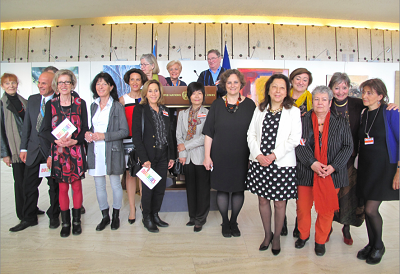 On April 15th, birthday of Leonardo da Vinci and date chosen by IAA to celebrate the World Art Day, CNFAP (Conseil National Français des Arts Plastiques) organized the opening of the 'Dialogs with Nations' exhibition, at the United Nations Office in Geneva, Switzerland. 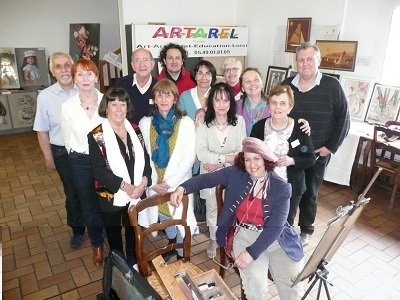 The exhibition included 54 artworks (paintings, drawings, etchings, photo pictures and installations) of French artists, members of CNFAP. Michael Moller, Managing Director of the UN Office in Geneva and Ambassador Elisabeth Laurin, permanent representative of France, together with several international organizations participated to the opening. Ana Sartori, President of CNFAP, introduced the goals and activities of IAA, in particular the promoting of the dialogue between civilizations. From April 15th to April 26th the exhibition had a very large number of visitors and benefited from the numerous international conferences held in the UN building during this period of time, promoting WAD among a large and diversified public. Click here for the brochure. Find more pictures on large format through this link. Watch an interview with IAA-World president Bedri Baykam here or below. 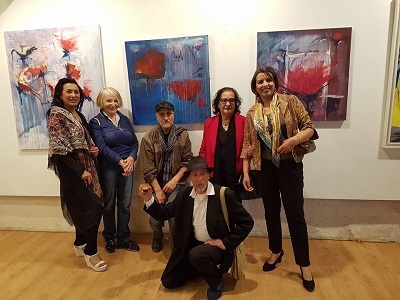 The General Consulate of Morocco in Paris celebrated the Word Art Day by invitating the artist Fatima Binet Ouakka. 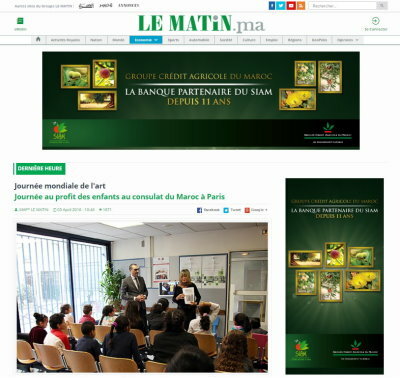 This event was presented in the whole written press in Morocco (Le Matin, Libération, Express, Maghreb Emergent, Atlas Info) as well as on the web (Maglor.fr, Yabiladi). 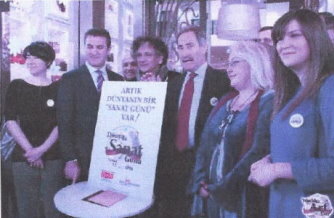 Invitated by the town of Corlu, the French-Turkish painter Asilva organized a joint 2016 celebration of WAD workshops for children and the exhibition 'The Children of the World draw for Peace'. Read more about WAD at the Collège Hélène Boucher through this link [PDF] and WAD at the Collège Paul Verlaine des Mureaux through this link [PDF]. On the afternoon of April 30th a panel discussion was held under the theme of 'Leonardo da Vinci and Me' at the auditorium of the National Museum of Western Art. This time we had the artists below from such fields as Japanese style painting, oil painting, wood block printing and sculpture as panelists and had them talk about how they ran into Leonardo da Vinci and what influence was brought by da Vinci to their activities as artists. And then Mr. Shinsuke Watanabe, the chief researcher of the National Museum of Western Art, touched upon an overall summary. The number of participants was 80. Panelists: Japanese style painter, Mr. Reiichi Hiramatsu; oil painting artist, Ms. Yoko Makoshi, wood block artist, Ryoji Ikeda; sculptor, Mr. Yuichi Yonebayashi. Find more pictures on large format through this link [PDF]. 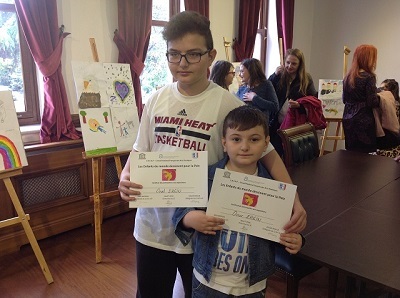 On April 15, 2015 on the occasion of World Art Day was realized art workshop and exhibition - 'Art without borders' for all children who want to exhibit their artwork in the gallery of the Association NEOART in Skopje event. In the event was exhibited works of young artists (2 - 18 year age) from all over Macedonia. The exhibition was opened 14 days for visitors. 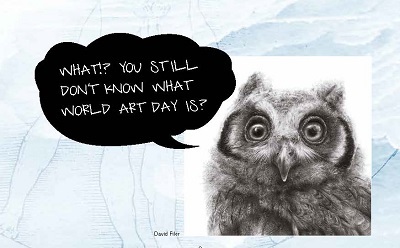 Please find some pictures on the link: Art without borders, and video on the link: WAD in The Art Room - NEOART. 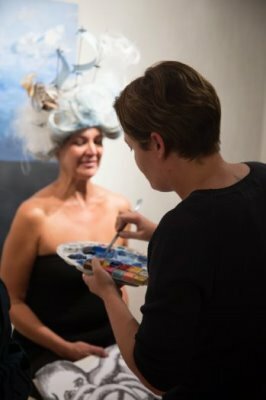 Read more about NEOART through this link. Thanks to Gabrielle Charles Rabijaona, artist and art visual teacher, and under her supervision, the Ankadilanara – Antanarivo101 High School celebrated WAD for the first time. The pupils worked on the arts in Indian Ocean and in Madagascar, making researches, pictures, painting, photomontages, cuttings up, and assemblings. 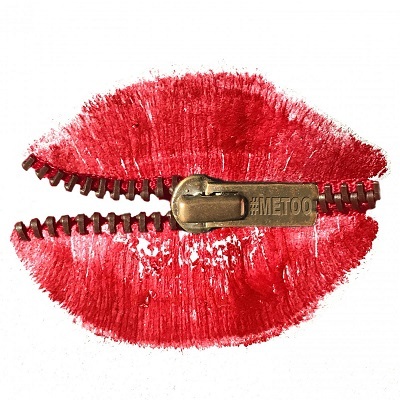 Find the report through this link [PDF]. 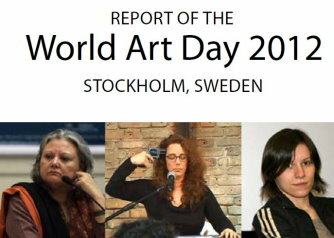 World Art Day 2015, Fatema BINET OUAKKA, activities in France and Morocco during the month of April 2015 through this link [PDF, French]. 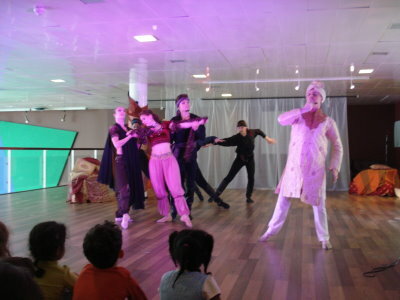 IAA World in Paris organised a WAD for Children and their parents with the IDC (International Dance Council) in the Unesco premises, from April 15 to April 28th. The theme of the exhibition was 'Funky Functional – World Art Day – 15 April 2015'. 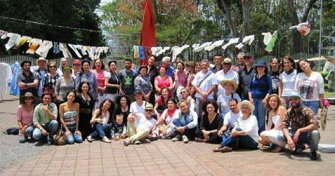 Twenty local artists participated. The event also included a 'happening' - A make-up artist presented a show where she did body-art as part of the exhibition. The idea was to celebrate the visual arts in various ways and media.